Everything on its own is compiled in the name of this performance kit, Posaidon Mercedes-Benz E63 AMG RS 850 2014 is a step to add more power to the Mercedes Benz E63 AMG. When we say more power, this isn’t about the minute figures, here we must shower accolades in appreciation of the work done by Posaidon to achieve the target it stands with the final release. Let us have an outer look at its specifications. 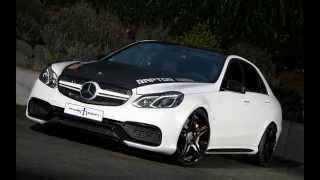 With the power of 550 hp the Mercedes Benz E63 AMG proved its mark in the automotive market, but it looks like only Posaidon understood the never ending thirst of a speed lover. 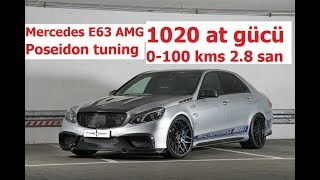 With marvelous addition of around 291 HP, Posaidon E63 AMG RS 850 now produces whooping 841 horsepower and 1,300 nm of torque replacing the previous 720 nm through its very same 5.5 liters V8-biturbo. 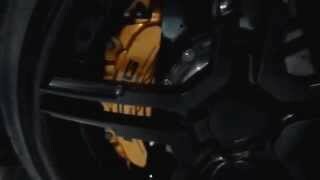 Figures on its own portray the commendable work done upon the optimization of engine by adding an entirely new exhaust technology, including turbo downpipes, racing sports catalysers and flap control. 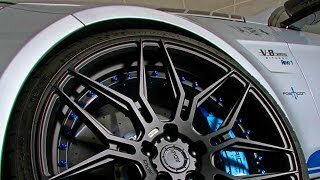 Posaidon has done an appreciable task in coordinating motor electronics, the result of which is 841 hp to the very same Mercedes Benz E63 AMG. 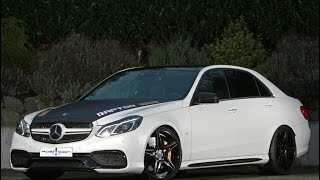 Now here talking about the interior and exterior of Posaidon Mercedes Benz E63 AMG RS 850, there isn’t any change and expecting the same would be injustice with the company’s reputation and the treat it gave through the maximum speed of 345km h (215 mph). By the end all we would say is that with the changes above in the performance of E63 AMG, Posaidon has given an unexpected gift to the speed lovers maintaining the blend of luxury and comfort Mercedes Benz carries since decades.